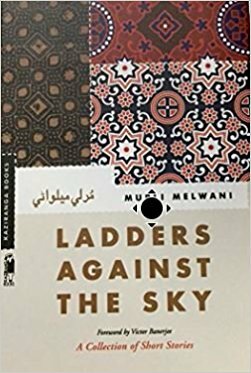 Read up, the Interview with Murli Melwani, author of 'Ladders Against the Sky'. In this interview, he tells us, how the entire book came about in all the different places, how he relates the lives of his characters to lives today, the kind of research, which was put into this book. How did ‘Ladders against the Sky’ happen? Could you describe the journey? The journey began with my travels. As a student, I joined the excursions arranged by our college. In addition, I travelled on my own to different parts of India. 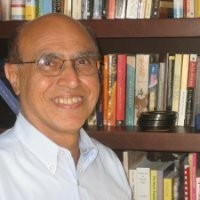 Later, when I worked for an export company in Taiwan, my work involved travel to various parts of the world. These stories are a gift of my travels. Two things. One, half the stories are about Sindhis. I wanted to show the human aspect behind the stereotypes that the popular mind carries about Sindhis, both in India and overseas. Two, the other stories are about how the contradictory strands of science and superstition, tradition and modernity are intertwined in the lives of Indians and how this paradox impacts life in India. What kind of research was put into the writing of this book, especially with so many varied stories? My observations during my travels were my research. The writer in me noted the displacement, Indians overseas had to work through and the cultural adjustments they had to make. In India, I saw, with pain, the conundrums that the various layers of traditions imposed on its modernity - oriented inhabitants. How would you relate the lives of your characters to the lives, today? Any similarities? Since my stories have grown out of my observations of people and places, they are realistic. For example, two stories deal with human sacrifice in India. Who would imagine that such a thing would happen in the 21st century, yet is exists. What was the most challenging part about writing ‘Ladders against the Sky’? Since there are 23 stories in the collection, each story presented its own challenge. In one, the question was how to structure the story. In another, how to weave in the atmosphere without losing the emphasis on character. In a third, at what point should the story open: towards the middle to grab the reader’s attention and then go into the back story, or begin at the beginning? In a fourth, should dialogue or narration carry the story forward or how to balance dialogues and narration. In brief, technique was the biggest challenge. You can Read the Review, here and Buy the Book, right here, as well.